Sunday 4th September 10:00 am – 1:00pm, Cadman house, 5 Wharfe rd, Sale M33 2AF £35 per person (Places limited). Part 1 – The first part of the workshop will be outside along the Sale canalside as we warm up doing our Nordic walking.Nordic Walking is a form of physical activity, where regular, natural walking is enhanced by the addition of the active use of a pair of specially-designed Nordic Walking poles. However, the characteristics of natural, biomechanically-correct walking and appropriate posture are maintained in all aspects. The active and dynamic use of poles. Technically correct use of poles actively engages the upper body into the act of walking, to propel the body forward. The physical strain is distributed in a balanced and appropriate way to various muscle groups of the whole body. The correct pole technique gives an opportunity to significantly intensify the act of walking by increasing the muscle work of the upper body. It also gives an opportunity to involve the muscles of the rest of the body. 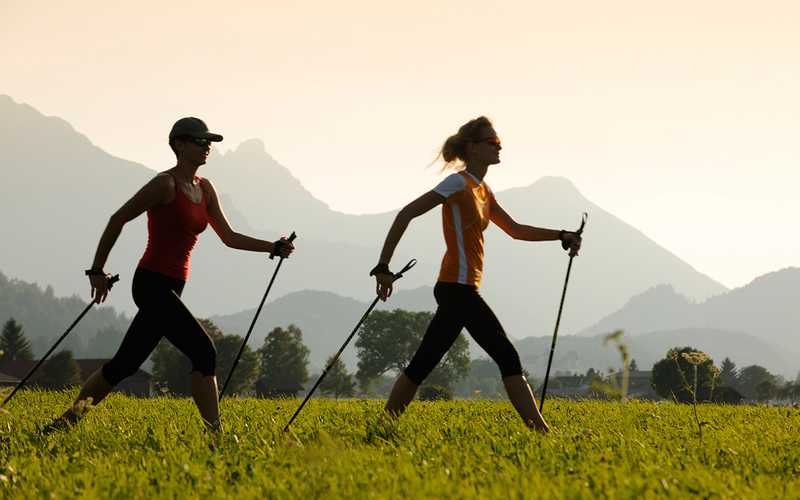 Nordic Walking is a safe, natural, dynamic, efficient and suitable-for-all form of a physical activity that trains the body in a holistic, symmetrical and balanced way. Part 2 – Myofascial stretch pilates relieves soft tissue restrictions that cause pain. Some causes of chronic myofascial pain or low back pain are easier to diagnose than others: trauma (suchas a car accident or fall), cumulative posture misalignment or mechanical deficits, a compressed nerve from a herniated disc, or inflammatory conditions. Sunday 6th November 10:00 am – 1:00pm, Cadman house, 5 Wharfe rd, Sale M33 2AF £35 per person (Places limited). The first half of the lesson will be Garuda matwork. Encompassing the principles of Pilates, the breath work and asana practices of yoga, and the athleticism of dance, Garuda is heralded as the face of 21st century fitness. Holistic, organic, dynamic – Garuda is the hybrid that is revolutionizing our approach to exercise. 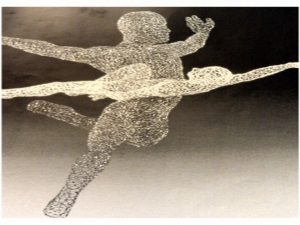 Garuda Matwork Foundation is a Pilates-based system that builds gradually from the micro to the macro. Here movements start first by isolating individual muscles, then move on to the myofascial lines they belong to. This gradual formulaic approach makes it especially effective for people with dysfunction or imbalances. Garuda was conceived and developed personally by James D’Silva, during his own dedicated practice over many years as well as in his inspiring teaching of these disciplines to others. “Pilates Reformer/Tower & Thai Yoga Massage” – Sunday 29th Jan 2017, Cadman house, 5 Wharfe rd, Sale M33 2AF £35 per person (Places limited). 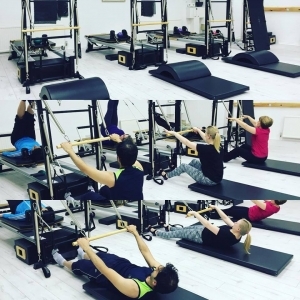 Our Workshop is called “Resist & Release”, we will start using the Reformer and Tower for the first half of the lesson working on strength without tension, using the breath to deepen the practice but then releasing to get the right quality of effects in our tissues.The secound part of the lesson will be Thai Yoga massage. Thai Yoga Massage – also known as Nuad Boraen, Traditional Thai Massage or Thai Yoga Massage – is a unique and powerful healing art that has been an integral part of traditional Thai medicine for thousands of years. Thai Yoga Massage is a truly wonderful experience for both giver and receiver, as energy blockages are released, boundaries dissolve and deep healing occurs in a space of presence and meditation. In a unique way, Thai Massage blends elements of acupressure, Yoga, reflexology, physiotherapy, meditation, energy healing, chiropractic and Ayurveda. This workshop is suitable for beginners to improvers introducing you to the fundamentals of the STOTT V2 Max machine and tower. The workshop will have a small break of herbal tea and yummy gluten free cake, places are limited so book early.